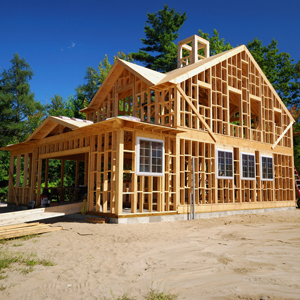 It is important to ensure the specified products are used on the project. 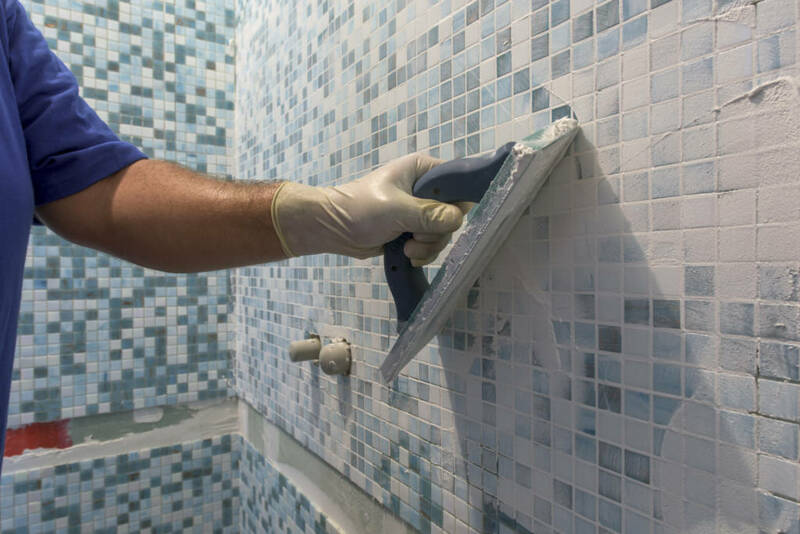 This article is based on the ceramic tile and stone industry, discussing a frustration that occurs in commercial work on a regular basis. It is fairly common to have basic, predetermined installation numbers for bidding large commercial projects. Other than the tile pricing, this includes labor expenses, mobilization costs, insurances, logistics, and the installation materials cost. These numbers are based on history and, for the most part, have always worked. So where do the problems come in? 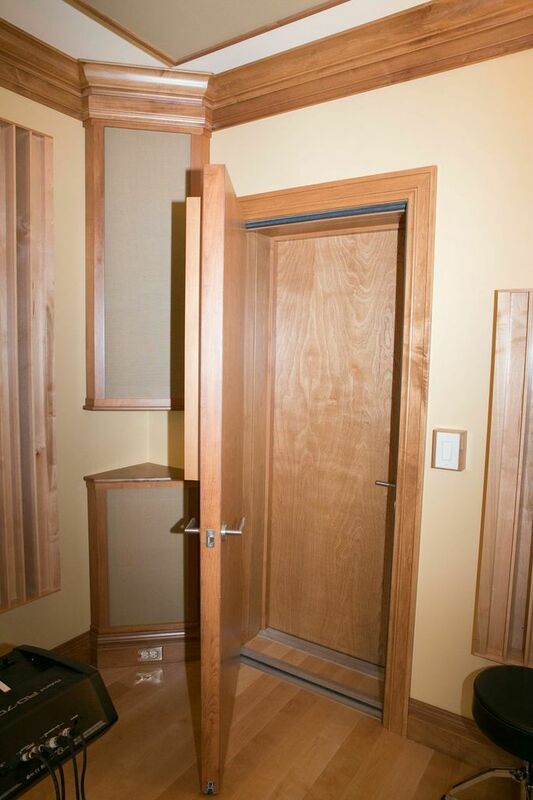 Technology is always evolving, new materials are specified, and estimators typically do not pay attention to the detail in the project manual, finish schedules, and specifications. Often, one can be consumed by the take-offs and the square footage numbers. This is a double-edged sword. Being the low bid also means having low (or no) profit, which can cause problems like beating up suppliers for better pricing or starting change order and ‘value engineering’ conversations with the general contractor and architect. When tile and installation material manufacturers hit the streets with their architectural teams, they bring the message of higher quality and performance. Along with that, they demonstrate the need to use higher-performing installation systems with high-tech porcelain, glass, stone, large-format, and now slim tiles. In the architectural community, there is mandatory licensing, as well as continuing education requirements to keep that license for all architects. This is something that has been building for years through the American Institute of Architects (AIA) and the National Council of Architectural Registration Boards (NCARB). As a part of this process, new technology, standards, and design ideas are brought to architects, designers, and specification writers—typically, by industry organizations and the manufacturers using AIA’s Continuing Education System (CES) and other credible educational formats. The information relates to the industry’s advances and to systems integration technology across all divisions of construction. So what does this have to do with the tile business? In a word, liability comes to mind. Architecture and design professionals research and specify materials that work together based on science and technology, as well as the manufacturer’s written instructions. 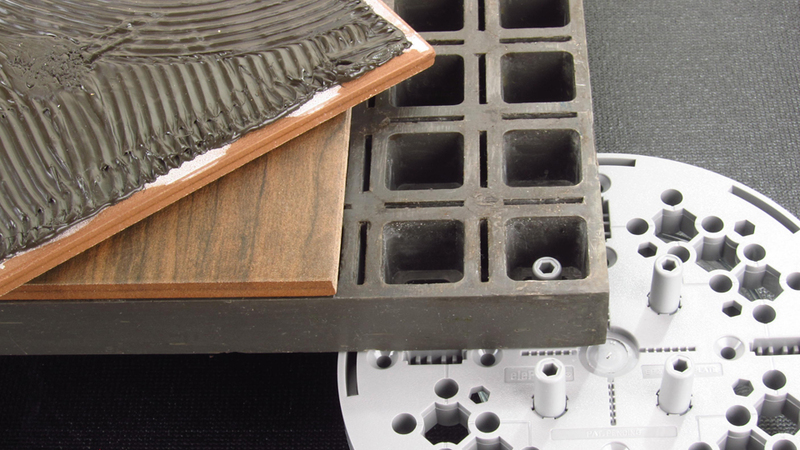 Manufacturers of both tile and installation products invest a substantial amount of time and money to validate not only installation systems, but also systems integration across all divisions of construction. 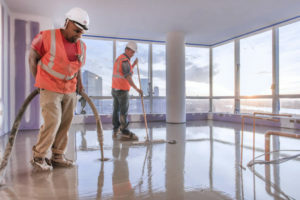 Architects do not want to assume liability for a less-than-adequate tile installation—whether the fault lies with the tile or the installation system. Consequently, they constantly look for the best quality and most effective systems for the project. One can ensure compatibility and systems integration between construction divisions by reviewing all references in the project manual. Where do they go for this information? 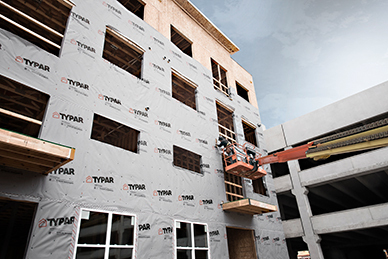 The answer is simple—ANSI material and installation standards. Specific sections include ANSI A108, General Requirements, ANSI A118, Material Specifications, and ANSI A136, American National Standard Specifications for Organic Adhesives for Installation of Ceramic Tile, as well as two subsections of ANSI A137, American National Standard Specifications for Ceramic Tile—namely, ANSI A137.1, “Tile Slip Test,” and ANSI A137.2, “American National Standard Specifications for Glass Tile.” Other staples of the industry are the Tile Council of North America (TCNA) Handbook, ASTM International, and the manufacturer’s reps. Believe it or not, architects actually read these documents! Those who dedicate their time and expertise to the industry do things like participate on the committees responsible for these resources, as well as other industry organizations (such as the technical committees of the National Tile Contractors Association [NTCA] and Tile Contractors’ Association of America [TCAA]). 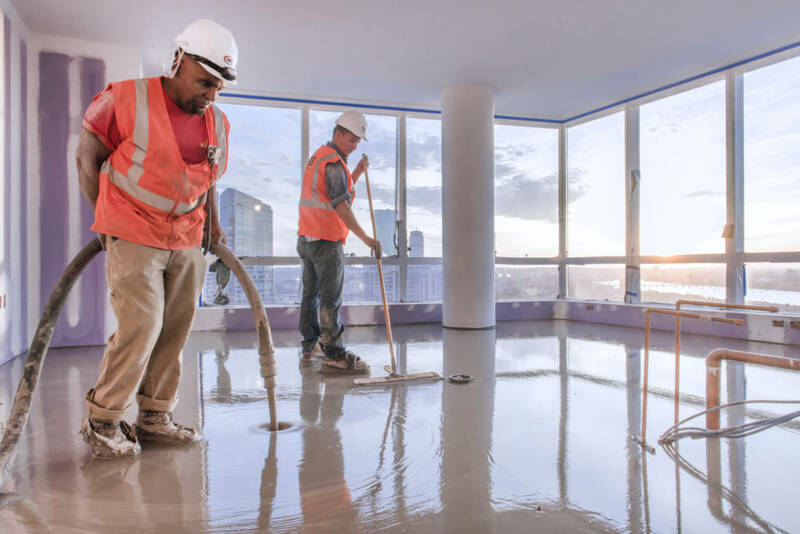 They help develop industry standards, and form a group of manufacturers of tile and installation products, consultants, industry organizations, and many others from the construction process. They are out there to help all of us do a better job with consistency and high quality. These standards are always being improved, expanded, and upgraded to keep up with technology. There are now not only standards such as ANSI 118.7, American National Standard Specifications for High-performance Cement Grouts for Tile Installation, but also a new standard, ANSI A118.15, American National Standard Specifications for Improved Modified Dry-set Cement Mortar. 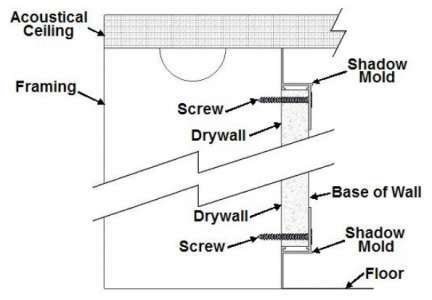 Newer standards—ANSI A118.12, American National Standard Specifications for Crack Isolation Membranes for Thin-set Ceramic Tile and Dimension Stone Installation, and ANSI A118.13, American National Standard Specifications for Bonded Sound Reduction Membranes for Thin-set Ceramic Tile Installation—are also in place. Another breakthrough standard is ANSI A138.1, Green Squared–American National Standard Specifications for Sustainable Ceramic Tiles, Glass Tiles, and Tile Installation Materials, which addresses sustainability.